Luci Barker: The Travel TAG! | Collab. Hey everyone and welcome to today’s post which is another tag. This post is all about travel ... which is one of my favourite things ... and this is particularly exciting because it’s in collaboration with Mercydes from mercydesmoore.wordpress.com. I hope you enjoy! UK (obvs), Ireland, France, Spain, Portugal, Gibraltar, Morocco, Italy, Norway, Greece, Croatia, China and Hong Kong. It’s so hard to choose just one as I’m such a travel freak (if that’s even a good way to put it) I just want to go everywhere I can. But I’d say number one would be LA at the moment. Other places I’d like to visit include Brazil, Australia, Montenegro, Dubai and more!! I would like a holiday where I can do all the things I like, or would like, doing including; exploring, visiting landmarks, doing different activities e.g. scuba diving, experiencing new cultures, trying new foods and also chilling on the beach or by the pool, so I’d say something where I can do a little bit of everything. I’d say Hong Kong as it’s one of my favourite places that I have visited so far. This is because it’s the most different place I’ve been, compared to home with the different culture and ways of life. But the holiday was also a mixture of a city break, a holiday where we explored the island, nearby towns, visited different landmarks/places including the Tian Tan Buddha, a zoo where we saw the Pandas and the Peak and we also went to the beach to relax too!! I really want to go back at some point. 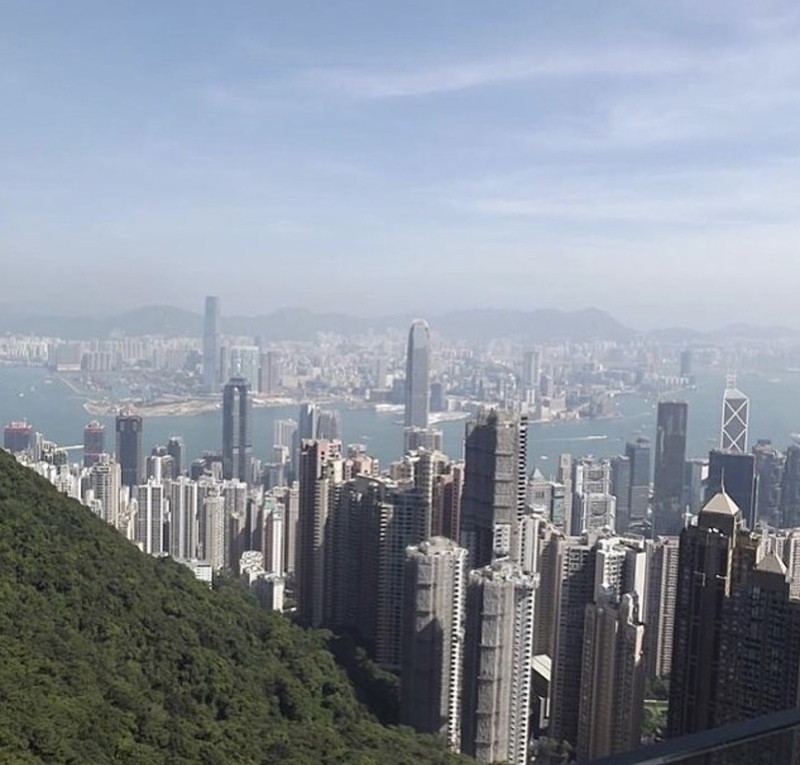 The quality isn't the best but this is the view from the top of the peak in Hong Kong looking over Victoria Harbour and I still can't get over this view. 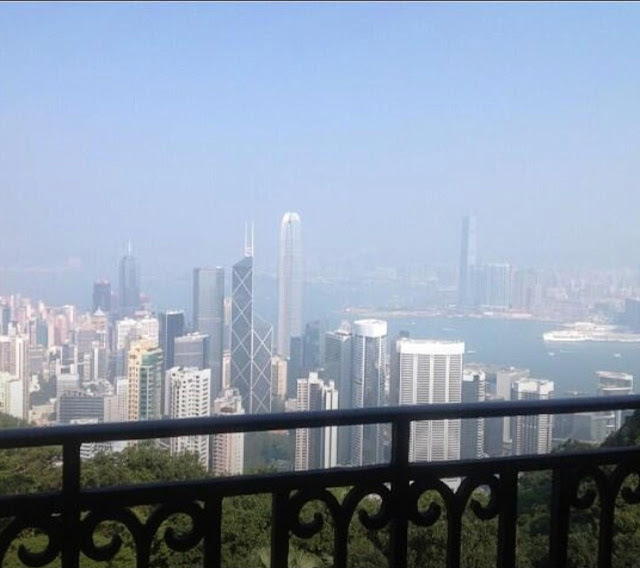 The picture below was taken on thee Balcony of the apartment we were staying in on The Peak. Who are you mostly to go on Holiday with? Most of the time I travel with my Parents and my sister, however I would like to go travelling with friends more. I would take one of my friends probably and I’d have to have my camera and probably a book because I’d need something to keep me entertained ahh. I would actually say an amusement park because I’ve been to a number of zoo’s before and they’re kind of the same but amusement parks all seem to be different. I’d say sun because I love getting a good tan and I hate the cold, however as I’ve never been skiing / snowboarding I would like to go on one at least once. I have soo many good holiday memories all for different reasons, so I’ll have to share a couple. For the first nicest holiday memory, I’d probably say when me and my family were on a cruise and we stopped off in Gibraltar for the day. Whilst we were there we went on the cable cars which for surrounded by monkeys ( I believe they even came into the cable car on the way up) and we were able to get soo close to them. Cable Car journey with a glass floor so we could see for miles over the forest and the city in the distance. I loved that day!! I’m going to Spain in September, I believe we’re going to Torremolinos (yes I know it's bad that I'm still not sure) and I’m really looking forward to getting away and getting a tan. To be honest right now there are countries that I wouldn’t travel to due to them not being safe or like ‘war’ countries but over time, different countries are said to be unsafe or not good to go so I wouldn’t rule any country out overall. 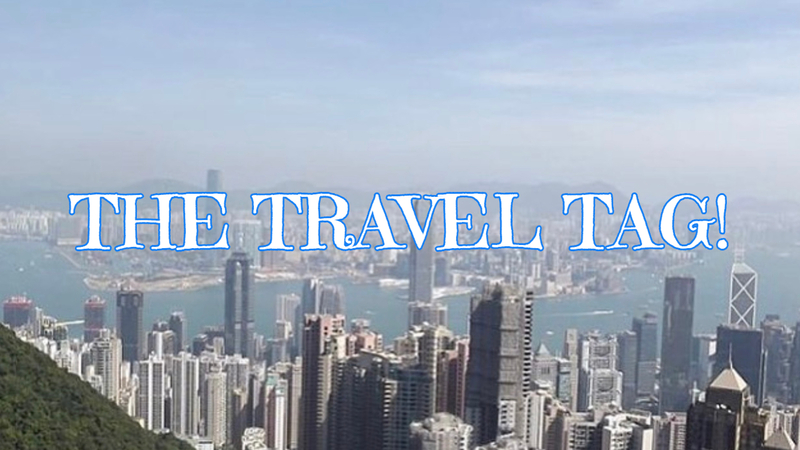 And there we have it ‘The Travel TAG’, I loved answering these questions and I hope you all enjoyed this post.